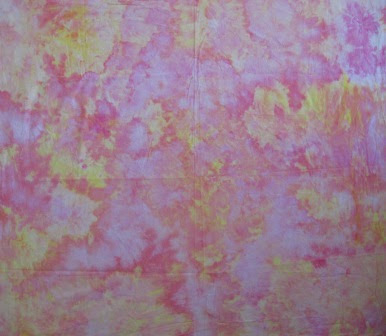 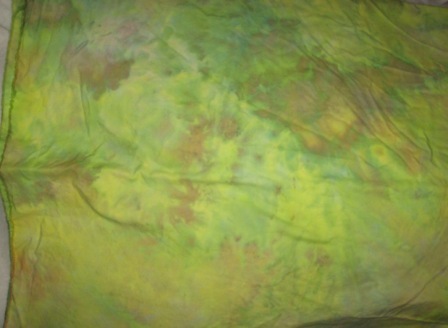 Pink and yellow snow dyed fabric. Each of the fabrics are 1 meter in size. 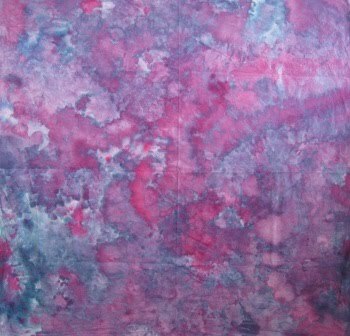 Blue snow dyed - I think it was pleated not just lumped in the snow. 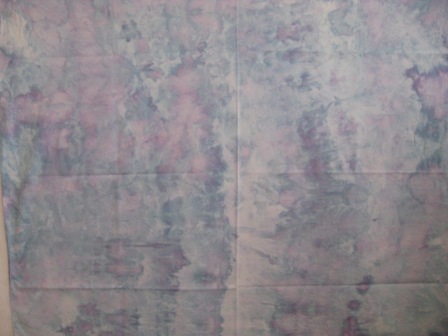 I love this purple snow dyed piece. 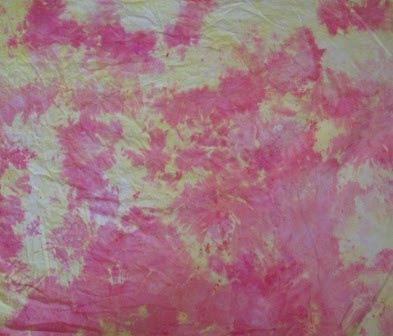 Here are some of the fabrics I dyed in the snow this spring. 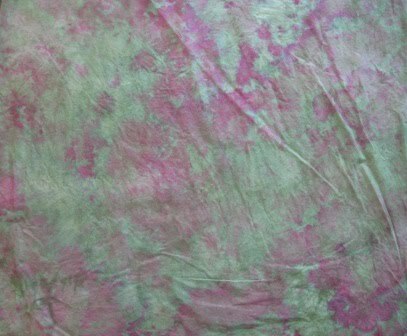 Green and pink purple - kind of a different piece.